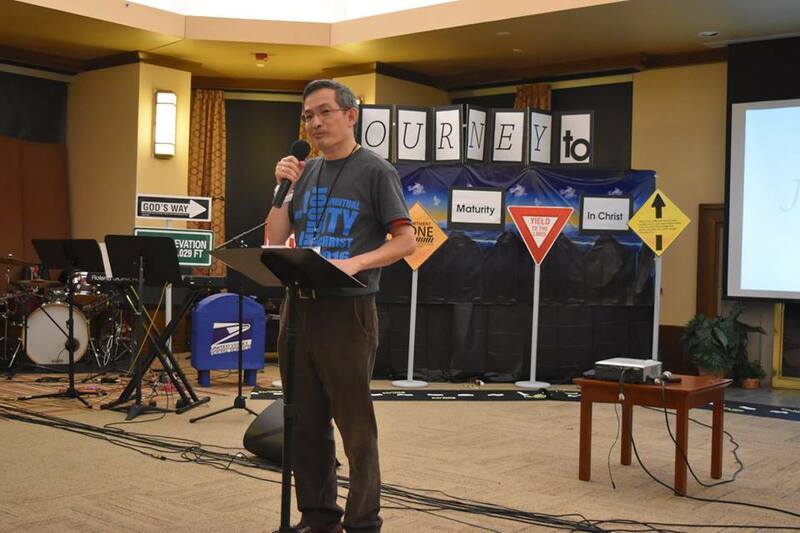 This year’s North American Annual Conference (NAAC) was held for the first time in Chicago. Host church, Hope Chicago welcomed 146 attendees from around the continent - Emo (in Ontario), Vancouver, Montreal, Chicago, L.A., Seattle, Tampa and guests from outside North America. Our theme was JOURNEY to Spiritual Maturity. Our conference was held on the spectacular lakefront campus of Loyola University, situated on the shores of Lake Michigan. The deco in the meeting room vividly illustrated the JOURNEY theme of the conference with signage everyone could identify with. The opening night saw a special performance told in the story of Mr Christian, a young man embarking on his journey; having to deal with the many trials and tribulations that besiege every one of us. Dr Wilson, Pastors Ben and Dinah, together with Dr. Eric Herbert spoke at our plenary sessions. In keeping with the JOURNEY theme, they spoke on I Will Follow Christ, The Maturing Process, Convictions Matter, Whole Life Approach and I Will Cross Over. We also heard special life stories of growing in Christ. We jumpstarted each morning with a post-breakfast Devotional. Over 2 afternoons, workshop attendees had the chance to delve deeper into the subjects like Nurturing Faith at Home, Ups and Downs of Being a Jesus Follower, Mentoring, Going to the Next Level for Longer-term Believers, Christian Apologetics and Core Team Leadership. 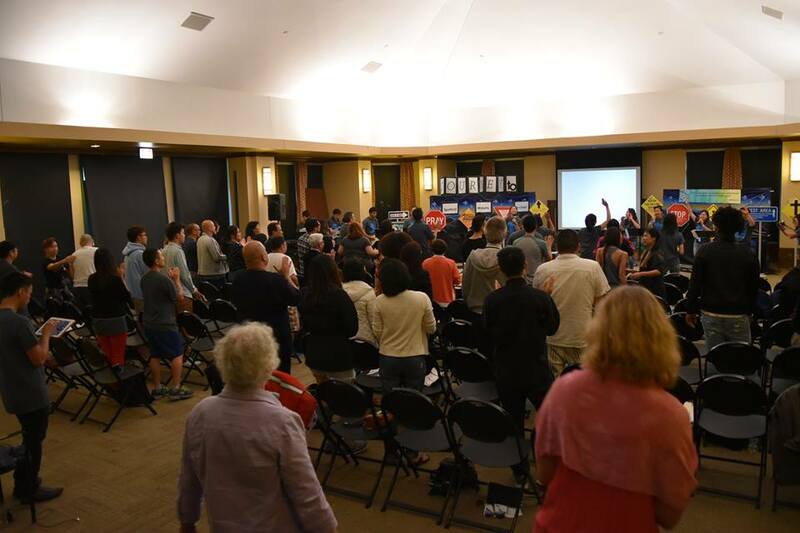 There was also free-flow worship session on Friday night when Pastor Lai Ling prophesied over many of the attendees. It was a defining moment on Saturday afternoon for 12 people. They made a public confession of their faith when they were water baptized at the adjoining beach of the Great Lake Michigan. This NAAC was a milestone for the Children - they had their own worship and teaching sessions concurrent to the adults. At one of the sessions, Pastor Lai Ling taught the children about prayer and prophesied over each one of them. This conference held special significance as it was the final one with Pastors Ben and Dinah as our Regional Pastors; passing the torch to Dr Wilson Lim (who will be assisted by Pastor Young Wiraponsawan) to oversee HIM churches in North America. 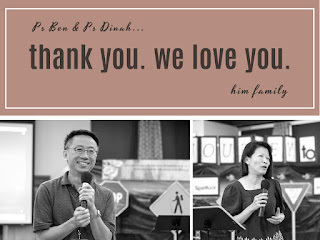 The final plenary session by Pastor Ben and our special tribute to our Regional Pastors made for a very emotive farewell. Pastors, leaders and members cried as each came up to thank them for their labor of love over the last 11 years. This was our first conference closing that was tear-soaked. The closing ceremony brought back Mr Christian who has since grown in spiritual maturity and is now better equipped to deal with life’s challenges as he faces them. As a special reminder of a truly wonderful conference, attendees were given a postcard to write down the action steps for their JOURNEY. The postcard would greet them in the mail a few months later to remind them of how they were inspired to do what it takes to grow in Christlikeness on this JOURNEY.